And that is how any organization grows and sustains its position as well as growth further. The biggest resource, “Human Resource” is thus neglected in our industry. We do not have Training & Development of our own employees on priority, for long term gains & more so retaining the talent we have happened to hunt while employing them. In near future, when competition will be going from worse to still intense worse, due to branding challenges, the only resource; our own field sales force is the one to secure us where we are. They need to be nurtured properly with training as one of the important component of whole policy. 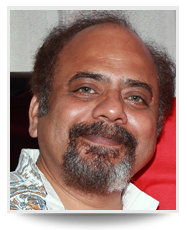 Sanjeev Deshpande is a veteran Pharma professional having spent 30 years in Sales, Marketing and Training put together. He rose to the position of Business Head from the grassroot level, thus he understands the challenges faced by the companies at each level of hierarchy. He has worked with various MNCs & Indian giants like Glaxo, Pfizer, Lederle, Becton Dickinson, Wockhardt, and Alkem. His last assignment was with Alembic Limited as “Chief- Sales & Marketing” of Intensa division. While leading the teams he has always given paramount importance to development of his team members. Sanjeev Deshpande now has become a Corporate Trainer for Pharmaceutical Industries & companies in Mumbai and across India. He is a graduate of Microbiology from Shivaji University and has been trained in IIM Ahmedabad and Bangalore & Calcutta during his career in management. Sanjeev has significant experience as a corporate trainer in Pharma, backing him in various roles right from being a man of operations to an Inspiring Trainer and has trained over 2000 people through various organization. He has certifications in communication by Renowned Indian Theater personality Alyque Padamsee. Graduation as a Trainer from Dale Carnegie Training. Unlike other Corporate Trainers, Sanjeev believes in “doing” the things rather than giving lectures. All his Corporate & NLP workshops for are full of activities and demonstrations. Sanjeev uses NLP tools and techniques to empower the people and help get them to give the best possible performance. As a Corporate Trainer, Sanjeev Deshpande has developed different modules for Corporate executives and customizes with the needs of individual organization.